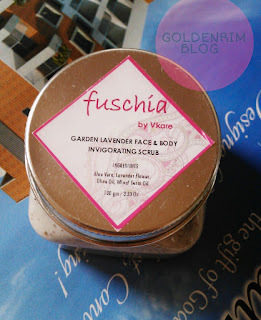 I have already reviewed the Fuschia Green Tea face and body clarifying scrub. Today's review is about the Garden Lavender invigorating scrub. Both the face scrubs are very similar so most of the pros and cons aer same. Read on to know whether this scrub works or not. 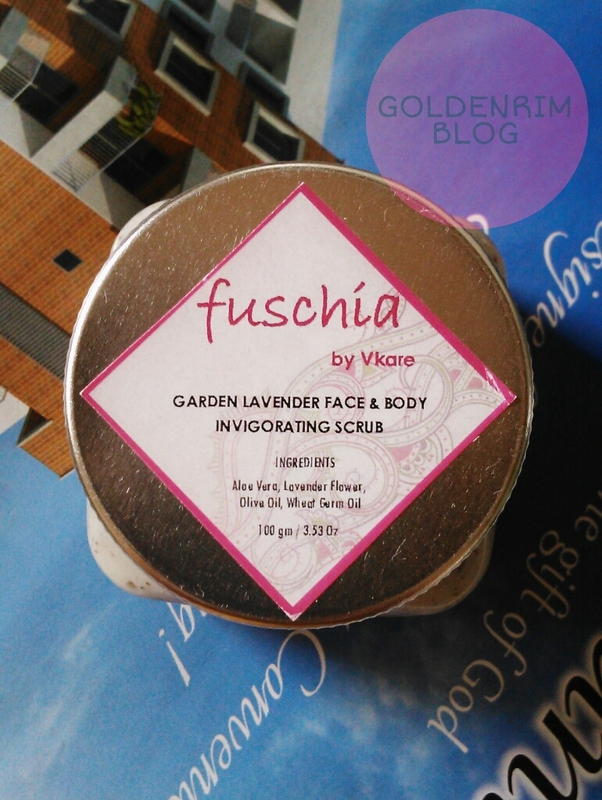 Enriched with Lavender, this scrub acts as an astringent and controls acne breakouts. This scrub not only tones and soothes your skin but calms your senses. 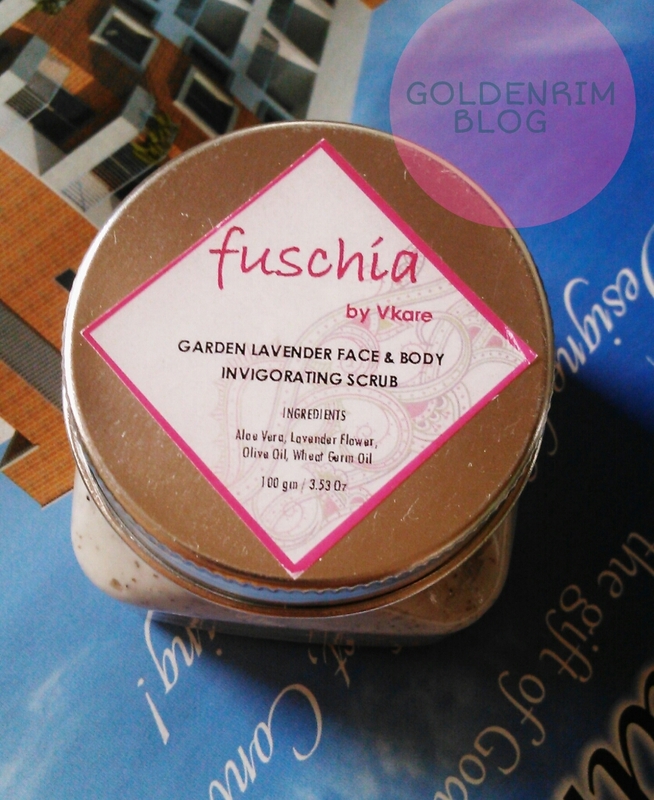 The lavender face scrub is very similar to the green tea face scrub which I have reviewed earlier. The packaging and price is similar. Some points differ which are explained below. The face scrub has a very good lavender fragrance which doesn't linger much. The face scrub quantity required is very less and it performs it's job very well. Removes the dirt, dead skin cells effectively. The scrub particles are also sufficient and size is also good. The scrub is not at all harsh on skin and has not broken me out also. It plumps up the skin and hides the whiteheads. I am saying this because the next day after using the face scrub my white heads were prominent as compared to yesterday. So it actually didn't remove the whiteheads but just plumped up the skin hiding whiteheads. The scrub makes the skin smooth and evened out. The scrub is a little less creamy in nature as compared to green tea scrub, but it is nonsticky, non-greasy and non oily at the same time. It will be suitable to all skinned beauties as it mositurizes as well. If you are looking for COD option for Vkare products do checkout forestica.com. Overall the facescrub is okay and is suitable for all skintypes. It performs a dual job of moisturization as well as exfoliantion. The scrub however showed no effect on whiteheads for oily skin, however it may work for other skintypes. Considering the price I would like a little more quantity. Overall the scrub is a good option to try out.